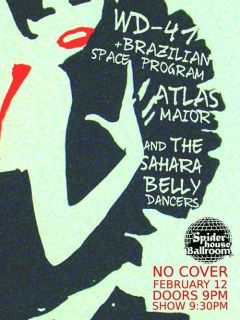 Atlas Maior is teaming up with The Sahara Belly Dancers as well as jazz groups WD-41 and The Brazilian Space Program for a romantic evening of belly dance and jazz. And the best part? No cover!